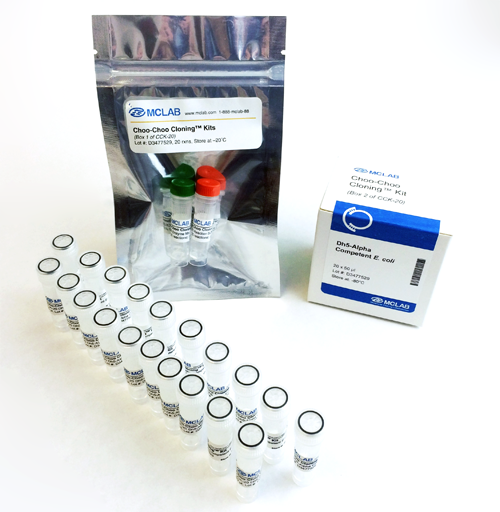 The 2X Ori-Master Mix is a premixed, ready-to-use solution containing a high-fidelity DNA polymerase, ori specific primers, dNTPs, and MgCl2. The Master Mix can produce linear copies of bacterial plasmids from a single colony. 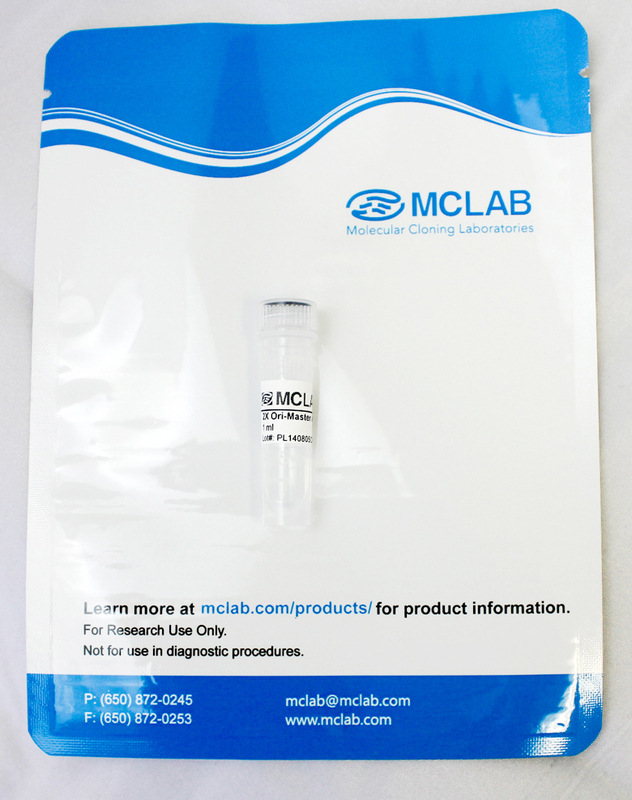 The reaction mixture and conditions are optimized regardless of the plasmid copy number. Amplified products can be directly sequenced without the need for purification. M:1 Kb DNA ladder (NEB). 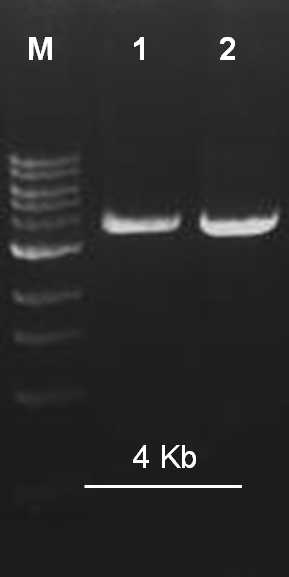 1&2:PCR product of ~4Kb plasmids.